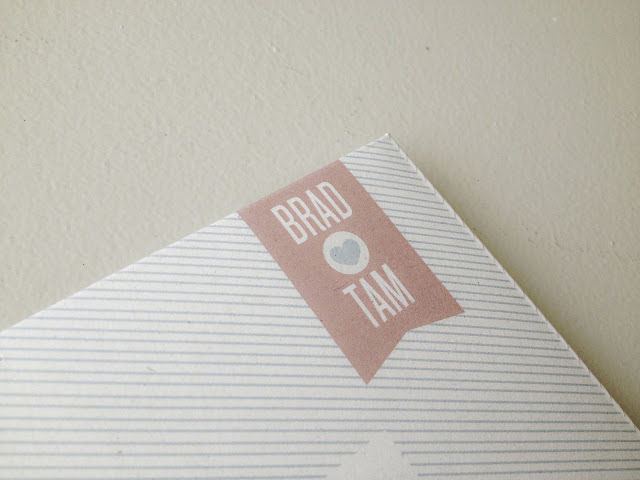 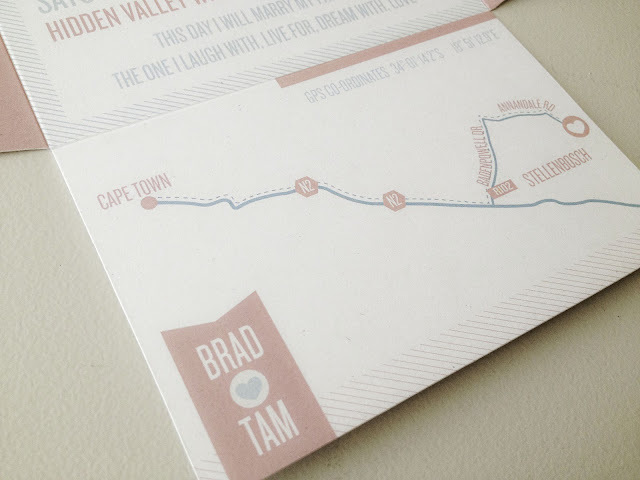 I'm not sure if you remember Tam and Brad's infographic save the date that I posted some time ago. 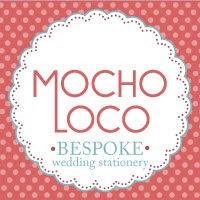 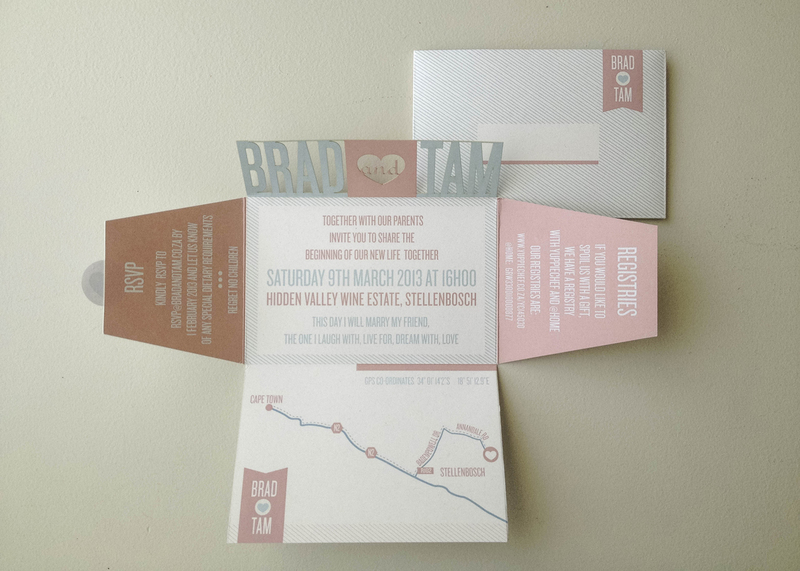 Well, here are their wedding invitations! 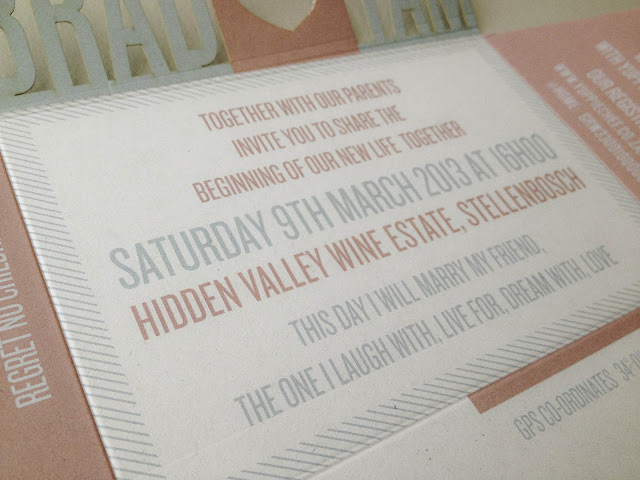 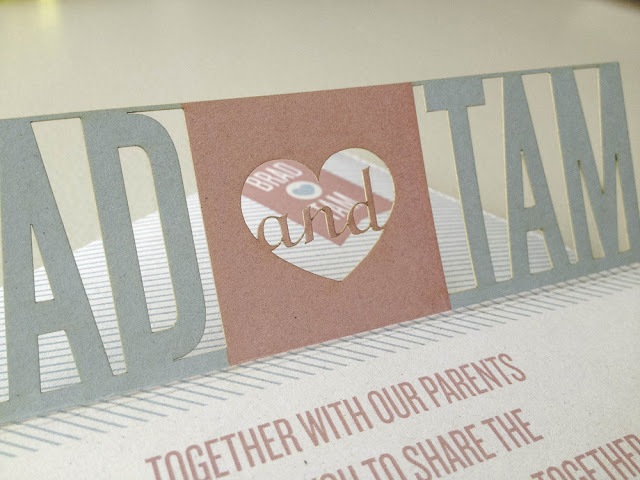 They wanted to continue with the styling of their STD but use more pastel color tones and incorporate some laser cut details as per this invite reference. I'm very happy how they came out and I hope you like them too!